Today I want to talk about blurbs, you know those little pieces of information that try to tell us where a book is about. A while ago I came across a blurb and after reading the book I realized the book was very different then the expectations I got from the blurb. Don’t get me wrong I really enjoyed that book, but it got me thinking about blurbs and how they create expectations for a book. How important is a blurb in deciding what to read? For me a blurb is one of the most important things when deciding whether I want to read a book or not. If a blurb doesn’t appeal to me, I probably won’t read a book. Then again the cover also does play a big role and if a cover looks good I probably will take a bit more time reading the blurb, while if a cover is bad I might be tempted to skip reading the blurb altogether. Then there are other factors, like where I came across the book, reviews from other book reviewers on goodreads and who the author is. These factors can all influence whether I want to read a book, but in general if a blurb doesn’t appeal to me I probably won’t read that book. And if the blurb is great I probably will give the book a try, this can even go as far as I want to read a book form a genre I normaly don’t read as much. So yeah for me a blurb is very important in deciding what to read. So what is a good blurb? Here’s a list of things that I like in a blurb. makes me want to read the story, now! So yeah that’s a lot of things that can make a blurb good for me. I like my blurbs to reveal a lot about what I can expect, but not spoil the story and as I am sucker for original stories I also love that in blurbs. I like blurbs that are written in an original way, but also simple blurbs can attract my attention when well written. I can imagine it’s difficult to write a good blurb and aim for that balance of letting readers know what to expect and where the book’s about, but don’t reveal too much. Okay let’s take a look at some blurbs I love, the kind of blurbs where you get chills when reading it and just know that you need to have this book now. It already reveals so much and hints at so much more. So it’s about duty and family and difficult chooses, it’s about love and secrets and the cost of those secrets. Every sentence hints at a conflict that’s central to this book. Then after that fist sentence the blurb goes on to tell us the age of the main character, therefore hinting at which problems she’ll face. Then it hints at problems and mystery. It also tells there will be fighting, mystery and intrigue. And it gives us a feel for love interest Jiro and suggest romance is important to this book. And you know what the blurb gives a great idea where this book is about. I have read this book and absolutely loved it, so the blurb certainly did not steer me wrong! This is another blurb that I love! That first sentence immediately grabs your attention. It makes you wonder what happened to this world, why that rule is in place and that perfect first sentence makes me want to read the book, without even reading the rest of the blurb. 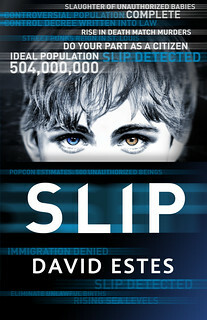 Really David Estes rocked the first sentence of this blurb and it already tells so much about the book. This also ended up being a book I really enjoyed, so the blurb certainly did not steer me wrong. Now this heading seems a bit more negative then I intended, but like I mentioned in the introduction there are blurbs that create expectations that end up being very different then the book really is. In all these cases I ended up really enjoying the book, but I felt like the blurb just isn’t as great as the book. This is the blurb I mentioned in the introduction, which inspired me to write this post. After reading the blurb I was convinced that this book was about a girl who didn’t swim anymore after her mom died and then she meets a boy and he teaches her to enjoy swimming again and not be afraid of the water. Uhm yeah that’s like totally not what this book was about, I interperted some things wrong and because the blurb is all about swimming, the title is about swimming and the cover involves water I just knew this was about water and swimming. In fact it ended up being a great book about a girl who moves to Tokyo and learns to live again and not stay in her shell and what’s familiar. She does love swimming, but really that’s just a minor part of the book and she never was afraid of the water, she was afraid of swimming in a less literal sense of the word. I thought it was about real swimming and didn’t realize it was more a way to describe the events in a roundabout way. So yeah I was completely surprised by this book as it wasn’t at all what I expected from the blurb. I did really enjoy the book though! This is another blurb that steered me wrong, while it isn’t exactly a bad blurb, it doesn’t really reach the depths and feelings I have for the real book and I have the feeling the blurb can be done better. I think the only reason I accepted this for review was because I liked the pararnomal sounding aspect and her weird band of travelers and the way the author wrote the review request e-mail. It was written in such a way that I knew that if her book was written like that i had to read it. Every time I look at this blurb I just feel sad, because it’s an amazing book and the blurb is just meh. It just fails to grab someone’s attention and there are so many comma’s. This blurb that made me doubt I wanted to read the book and I ended up loving it! After reading this, I though ugh not again a love triangle and I immediately decided I wouldn’t read this book. Then there was a free prequel Camp Kiss and I thought let’s give it a try as it’s free and I ended up really enjoying it. So after that I decided I wanted to read this book and it turned out so much different from what I expected. This book was so good, I loved the camp setting and contrary to what you might expect from the blurb this book is not only about romance, it is also about self discovery and friendship. What makes a good blurb? Have you ever felt misled by a blurb? How important are blurbs for you as a reader to decide whether you want to read a book? I actually heard a few other bloggers who didn’t read the blurb and I think it must be great to go into a book without having read the blurb. Sometimes a blurb gives things away and it’s more fun to be surprised. And I think a good cover can be used to judged a book, if a cover is good you can usually tell at leats something about the genre of the book. I kinda have a thing for blurbs and I fidn it interesting how authors write their blurbs or how sometimes it’s more a marketing tool. Blurbs are so so so important. If I read a blurb and I’m immediately bored by it, then I’m definitely not buying the book because that’s bound to be boring too. Thanks for highlighting REMOVED! Remember that that’s actually the second blurb I wrote for the book, and it started doing much better after I changed it. The first blurb was good too, and I think it was actually the one that sold you on the book. In the original blurb, I used “Nishikyo” and “Yusei” and the phrase “built by the Japanese 300 years ago to house the rest of mankind” and I think those were all too scifi and turned off the regular dystopian reader I was trying to appeal to. The newer blurb you have above is more vague but still gives all the necessary plot points and emotions. Writing blurbs is hard work! Lol. Each one should really be thought over and hand-crafted to set the right feel for the story! I agree a blurb can really sell a book to me or not. I recently got a review request for a book that contained topics I like, but the blurb just didn’t do anything for me and I had to decline the request. And indeed now that you mention it it was the old blurb that sold me on Removed, but the whole concept of japanese being the last people on earth, just appealed to me and I just had to read it even though I still thought I didn’t like sci-fi back then. But in general I think the new blurb is more catchy, it’s really well done and I can understand why it attracted more readers. I can’t imagine how difficult it must be to write a blurb, it’s so important and it must be hard finding the right words. Great post! I think I will always judge a book by its cover, whether I try to or not. I just like pretty books. And like you said – if the cover looks good, then I’ll definitely take more time reading the blurb. If the blurb reels me in, then I’ll probably read the book. Misleading blurbs.. I think the one that stands out to me most is The Donor by Helen Fitzgerald. By reading the blurb, you think it’s some sort of adult contemporary, some heartfelt and deep story that will make you bawl. In reality, it was such a messed up story, filled with unlikeable characters who all smoked, drank and did drugs, and I just.. I still don’t know what the hell I read. That was really disappointing. I judge a book by it’s cover, but after that I look at the blurb and even if I don’t like the cover I’ll read the blurb as well. I think in general the blurb tells mroe about the actual story. It’s really too bad if blurbs give a whole different idea about the book. It can be really disapointing because you had different expectations. I often only scan blurbs as I just want a quick idea of what the book is about but I prefer going into books blind. What makes me add books to my TBR are friends reviews, previous good experiences with the author and covers! Obviously on review requests I do read them but again pretty quickly just to get the theme of the book and I spend longer looking at the cover and what the tagline on the cover is. 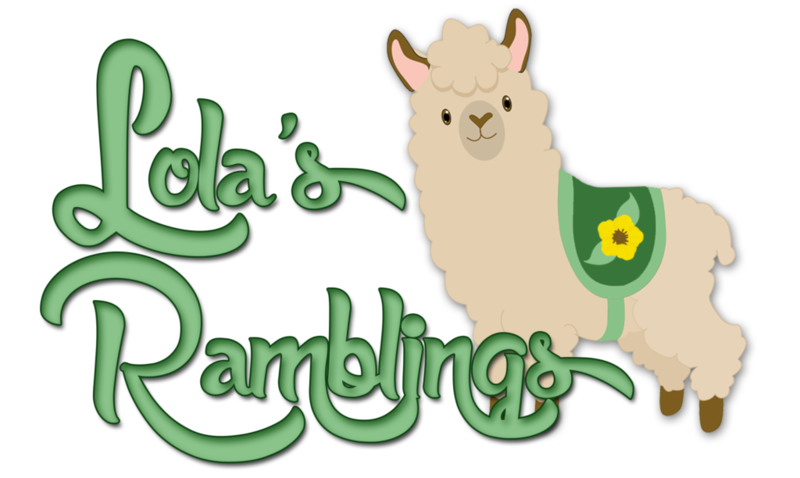 A clever tagline is more likely to draw me in. 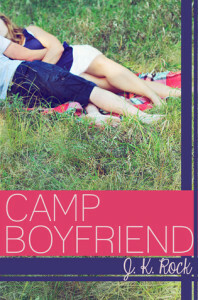 I have glanced at the synopsis for Camp Boyfriend a few times and dismissed it as the blurb didn’t draw me in so it’s interesting to see how much you loved the book. And I love that one for Removed too. I would probably just read the first line and that would be enough to hook me in. I really like the idea of going into a book blind, but I just can’t. One of the ways how I judge books are through readin the blurb. I do enjoy when I forget the blurb by the time I start the book, it almost feels like going ing blind. Concernign Camp BOyfriend the blurb just doesn’t epxlain how good the book is. 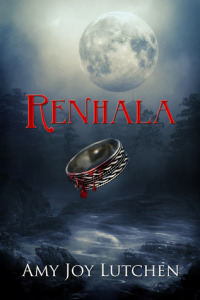 I would recommend picking up one of the free/cheap novella’s to get a feel of the writing style. It’s better way to jugde it then reading the blurb. btw Camp Boyfriend is for sale for only 0.99$! The blurb for Removed is so well done, the author really did a greta job writing that blurb! Isn’t it awesome when a blurb can hook you within one line? Yes to all of this! I particularly hate it when blurbs give away too much of the book. Like once, there was a ‘huge’ twist in the middle of this book but it was already revealed/hinted heavily in the synopsis so I was awfully underwhelmed by it. I have read a few books were that happened as well. I want to get a feel for the book from the blurb not have the book spoiled for me. Thanks I am glad you love my design! I’m so bad – I only read blurbs when the cover has caught my attention and then I usually only read enough to decide if I’m interested. In general, blurbs are just too long and so often they’re boring or – even worse – the spoil the book for me. I never read a blurb right before reading, so that the book is fresh. Great post! I usually look at both the cover and the blurb at least. And I agree some blurbs can be long and boring, it must be hard to write a good blurb. Just like you I prefer nto the read the blurb before starting the book, I only read the blurb when deciding whether to read a book or not and after I made that descision I probably won’t read the blurb again. I am glad to hear that :). I thought giving some examples would work best and I am glad to hear the blurbs I liked were also blurbs that drew you in!